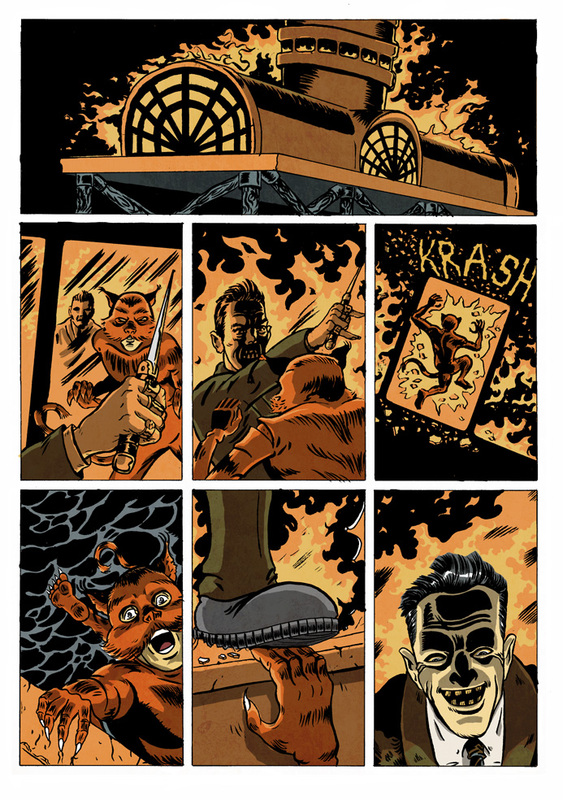 My good friend and ex-Fractal Friction compadre James Corcoran is producing this excellent Boys' Own adventure style strip for Starscape comics online, and he asked me if I'd be interested in colouring it. I couldn't resist, there's something wonderfully old-school and earnest about James' drawing, and the premise of the strip is pure costumed-hero goodness. 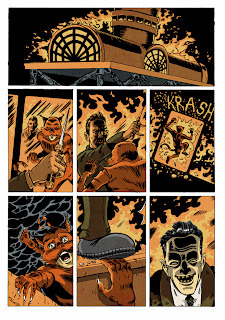 These first two pages show our Kid getting into a spot of bother with the rather nasty teddy boy villain Vincent Vyle. 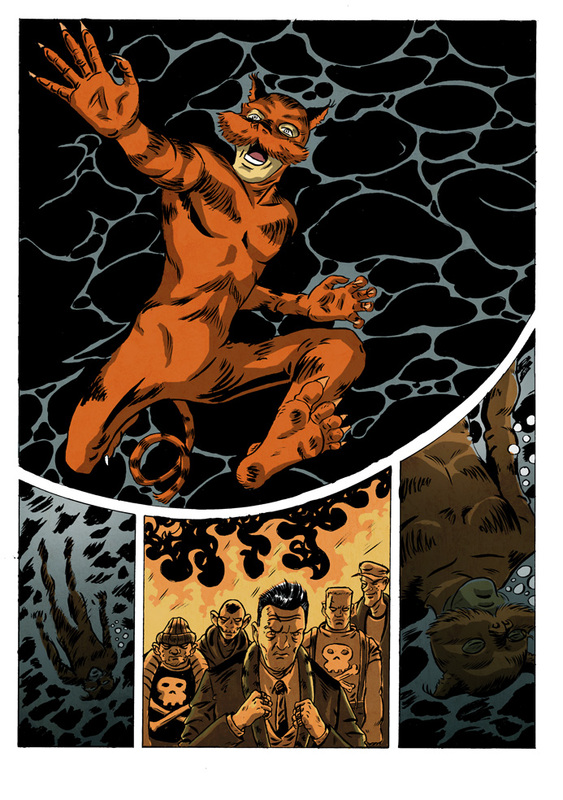 Beyond making the tiger costume orange (obviously) James allowed me complete freedom, citing only the muted palettes of Daves Stewart and McCaig. Funnily enough, I've been idolising these two for some time now, and this was just another reason to say yes and experiment with a simpler approach. More pages to follow soon.